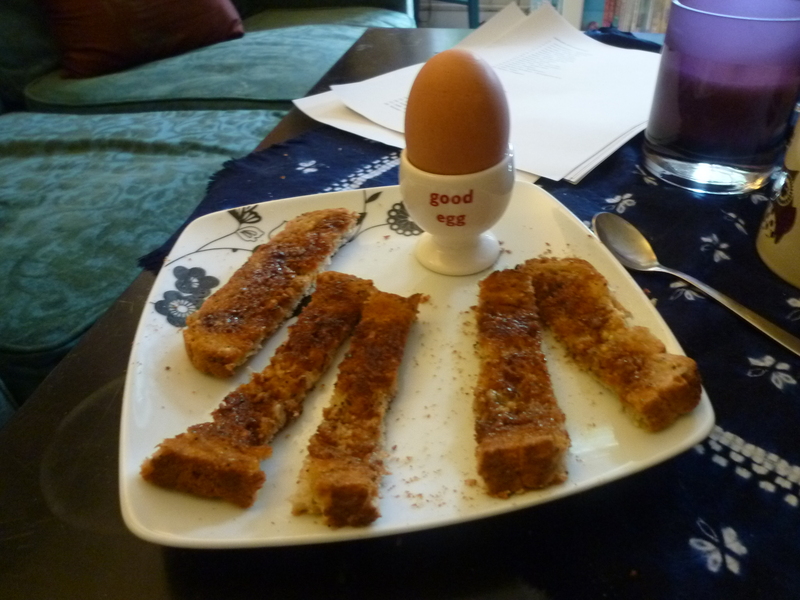 You’re never too old for a soft-boiled egg with marmite soldiers…..
Plus I hardly ever get to use my awesome egg cups…. 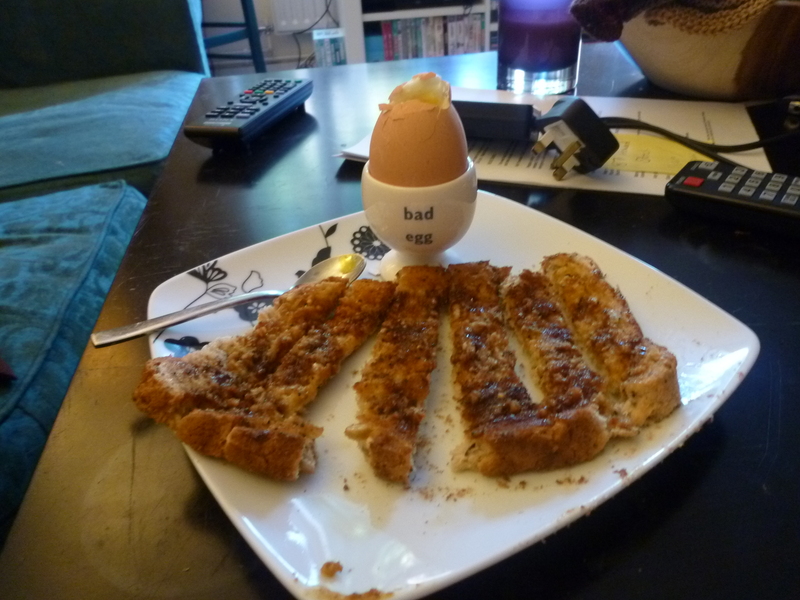 Now if only I could perfect the art of actually making a soft boiled egg…. So far attempt 1 was hard-boiled and attempt 2 was semi-hard boiled…. Very disappointed in both Jamie and Delia…. However I will persevere – practice makes perfect! This entry was posted in 2013, Oxford, UK and tagged 2013, Oxford, UK by worldenoughandtimeblog. Bookmark the permalink.